Here's a look at River Point Tower, being developed by Ivanhoé Cambridge in Chicago. 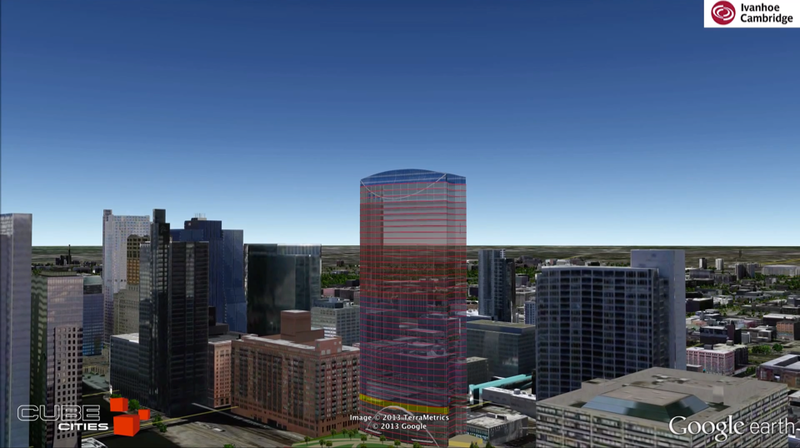 This visualization shows the stack plan for the building within a 3D model in Google Earth. The movie shows several assorted floor highlight styles from Cube Cities.